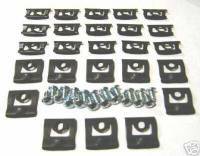 Windshield Moulding Clips for 1968-70 B-Body (Excluding Charger). 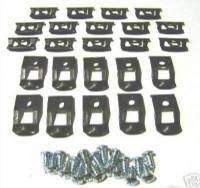 Rear Window Moulding Clips for 1968-70 B-Body (Excluding Charger). Windshield Moulding Clips for 1971-74 B-Body. 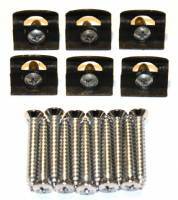 Rear Window Moulding Clips for 1971-74 B-Body. Windshield Moulding Clips for 1968-70 Charger. Rear Window Moulding Clips for 1968-70 Charger.